And China should welcome Google back, as long as it abides by Beijing’s laws and regulations. Over the recent Labor Day holiday in China, a huge scandal involving China’s largest search engine company, Baidu, erupted, angering millions of Chinese netizens. The trigger for the scandal was the death of a Chinese college student who used Baidu’s search engine to find treatment for his cancer, but received false medical information, which was provided by one of Baidu’s important business partners. The Chinese government has reacted swiftly by sending an investigation team to Baidu and possibly other entities, depending on what’s discovered. There are many hot debates among Chinese netizens today regarding the role of regulators, the dysfunctional medical system in China, the lack of punishment mechanisms, and so on. One huge debate is about the role of Google, the U.S. company that left China in 2010. Many netizens believe that the absence of healthy competition in China after Google left the Chinese market has given Baidu a golden opportunity to abuse its monopoly power. For example, the company has pursued brazen methods charging advertising fees without any scruples. This kind of immoral behavior has even drawn Chinese president Xi Jinping’s attention. In a high-level meeting on Internet security last week, Xi emphasized that an “Internet search engine company should not promote a certain client just because they offer the highest price.” We don’t know if Xi had Baidu in mind, but it’s likely. More importantly, Xi talked about the importance of “listening to different voices, even if they are well-intended criticisms.” Because China already has more than 700 million internet users (more than double U.S. numbers), Xi pointed out, all levels of Chinese leaders should spend more time on the Internet to understand the people’s needs and concerns. Most importantly, Xi said that it is wrong to shut down China’s Internet to foreign voices and China should welcome foreign companies, as long as they abide by China’s local laws. So now the ball is in Google’s court. If Google decides to return to China, a crucial issue is how much censorship or monitoring the U.S. company is willing to tolerate. There is also a strong voice among Chinese academics that welcomes Google’s return. It is not so much about information freedom for them; it is rather about intellectual freedom. 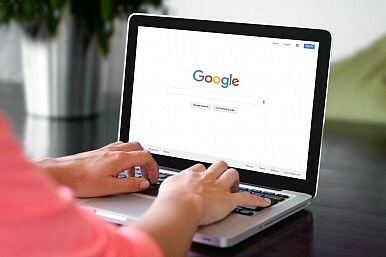 Many Chinese academics used to go to Google scholar to read and download academic papers, but now they have to rely on other low quality academic databases for research assistance, as Google scholar is inaccessible in China. In the long run, the lack of free and high-quality scientific information will hinder China’s scientific developments and hence the eventual realization of the China dream. It should be obvious that China and Google need each other and that they can both benefit from a positive and cooperative relationship. To abandon 700 million potential customers, for Google, is a bad business decision. To completely shut out Google, for China, is unwise and indeed hurts China’s national interests in an era of globalization. China and Google must find a middle ground that addresses China’s security concerns and the protection of information freedoms. We should remain hopeful that such a compromise can be reached, as long as the two parties remain rational and open-minded.